War! Volume 4 of the Teenage Mutant Ninja Turtles Ultimate Collection brings the start of a major Turtles storyline: “City at War!” As the Foot regroup and NYC burns, the Turtles try to find their place in the world. Starting with the two-part “Shades of Gray,” get ready to enjoy Eastman and Laird’s final TMNT collaboration masterpiece as the multi-part “City at War” explodes onto the comics page! 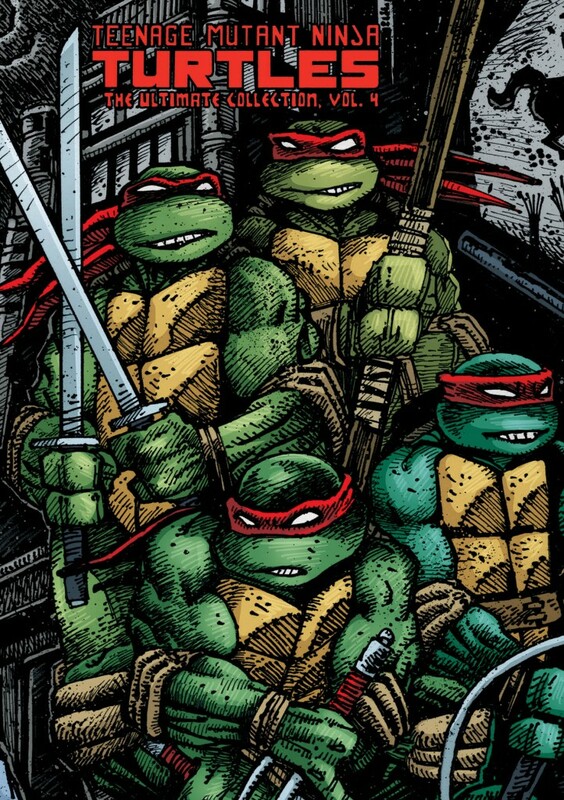 • Issue notes and annotations from creators Kevin Eastman and Peter Laird!